Supplementary melatonin is the fourth most popular natural product used by adults in the United States and the second most popular given to children. But supplements like melatonin are not subject to the same quality controls as prescription medications. A new study of melatonin sold over-the-counter shows that information on the label often does not reflect the content of the product. This commentary in the journal Sleep caught my eye. Flip as it sounds to a person who would sleep more if she could, it points to a relationship between sleep and body weight that should be widely publicized. Paradoxical insomnia: a diagnosis given to people whose sleep studies show they sleep a normal amount but who perceive they sleep much, much less. When I wrote about it in 2015, the word was that cognitive behavioral therapy (CBT)—the gold standard in treatments for insomnia—might not be an effective treatment for it. But a brief testimonial that recently appeared in American Family Physician argues otherwise. Here’s an update on this puzzling sleep disorder. 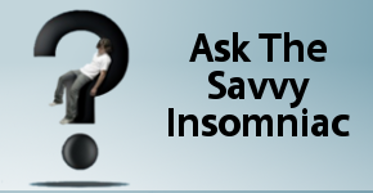 Occasionally I get emails from people with take-charge, type A personalities wondering what to do about insomnia. Full of self-reliance, they’ve often scoured the internet for remedies—and tried every one—or amassed a mountain of books about sleep—and read them all—to little avail. Can I suggest anything that might help? Here is Geri’s story (abbreviated to save space) and my response. I love coffee and I’m always glad to hear coffee is beneficial to my health. Two new studies—one of humans and the other of mice—add to this growing body of knowledge. Yet coffee contains caffeine, and people with insomnia are often advised to cut down on caffeine because it interferes with sleep. Is there a middle course the sleepless can steer to avoid the harms and reap the benefits? A flurry of articles recently announced the discovery of seven new risk genes for insomnia. In an era when new genes are being identified for everything from infertility to schizophrenia, you might regard this discovery as simply the soup du jour. Not me. Growing up when trouble sleeping was attributed to psychological factors, coffee, and alcohol, I was elated by this news. 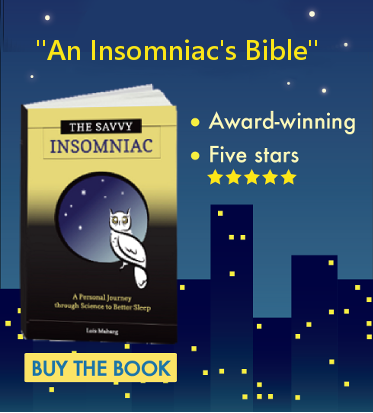 We stand to gain so much from knowing the genetic underpinnings of insomnia.